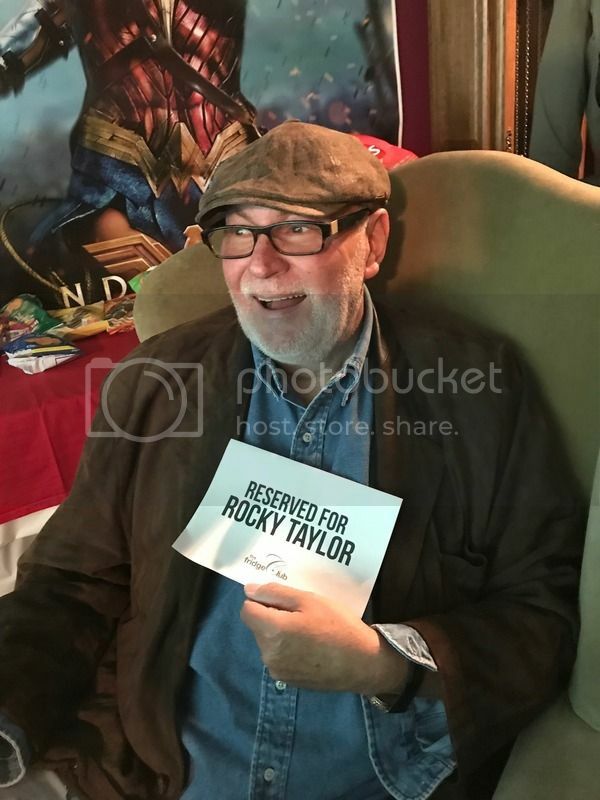 The Avengers International Fan Forum :: View topic - Rocky Taylor? Posted: Tue Feb 03, 2015 2:54 am Post subject: Rocky Taylor? Did stuntman Rocky Taylor play a Cybernaut in all three Cybernaut episodes or was it just The Last of The Cybernauts? A friend of mine is working with him soon. Tell your friend to give that man an ice cream. He's a legend! Legends on ice. Terry Richard was the Cybernaut in "Return of the Cybernauts". I don't think Rocky was in the first one, though the stunters included Billy Cornelius, Joe Dunne and Joe Robinson, so any or all of them could've inhabited the Cybernaut costumes in various scenes? Thank you, my friend is interviewing Rocky for his Behind The Stunts website and magazine next month. If anyone has any questions please post here and I will see if he can get some answers from Rocky. Curiously enough, day before yesterday for the first time I watching the scene of fencing in an episode The Town of No Return on DVD from Optimum, and I was surprised - sub for Patrick is actually not Rocky Taylor. 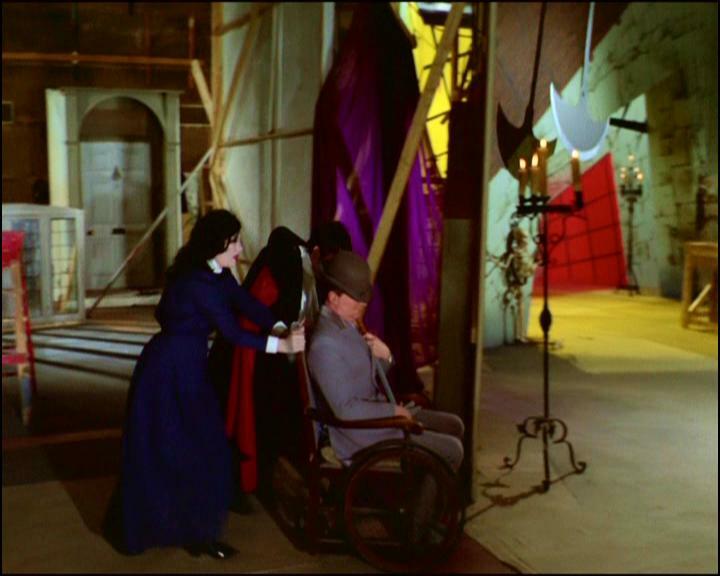 (while Ray Austin is well noticeable for Jeremy Burnham in the scene "the fall through hatch in the floor"). Before I saw this episode only as the print, released by A&E. Posted: Mon Nov 21, 2016 5:06 am Post subject: Re: Rocky Taylor? I don't think Rocky was in the first one, too, but actually for only one reason - he appeared as a regular stunt since the episode Castle De'ath. I have not seen him earlier in the season 4, probably Rocky was hired as a replacement for Mike Stevens, who for some reason do not go on to be stunt double for Patrick. Hmm, I can assume that Joe Dunne, Cliff Diggins or Terry Richards acted as one of the cybernauts. Posted: Tue Aug 21, 2018 9:07 am Post subject: Re: Rocky Taylor? A new riddle, ladies and gentlemen. I just watched episode Epic for many times and I'm not sure that Rocky Taylor is in, actuallyl. That is, according to Mike Richardson's book, he is in the episode (I think it was stated in official documents), but I do not see it. It looks that the participation of Rocky simply did not go into the final editing of the episode. At multiple watching of episode, I made sure that there are only two footages where John Steed's face is not discernible (by DVD Optimum ). ...and Patrick Macnee again who as Steed leads Bentley when he comes to the studio. As always, the actor does not look like Rocky Taylor, since if it's not Patrick Macnee, then he has similar chubby cheeks and chin. Yes, obviously not Rocky. And finally we come to the last footage. It is really difficult to identify anyone here, although once the actress playing Emma looks at the camera and Steed turns her head to the side so you can see his the profile. Maybe can find out something through the Blu Ray, I do not know. For this footage, with my DVD Optimum (on moment, it's better quality of this episode that I have) I can only analyze. I think that this is not Rocky for the reason, because the function that Steed plays in this footage here is intended rather for stand-in or Patrick himself. Indeed, it's strange if unexpectedly this role was performed by Rocky than Paul Weston or by the person on the set who would have agreed to perform it for little money or even for free, if Paul or someone other from permanent members were absent for some reason (this is common practice). Hmm, if Rocky actually participated, whom he played as Steed's stunt double? Maybe he originally did the takes as Steed when fighting with Kirby, but in the end were chosen those takes where Patrick played himself? Interesting point. Posted: Tue Aug 21, 2018 1:09 pm Post subject: Re: Rocky Taylor? Posted: Tue Aug 21, 2018 9:07 pm Post subject: Re: Rocky Taylor? Yes, but as a regular stuntman he participated since the episode Castle De'ath. A similar sitiation is with Ray Austin, for example. 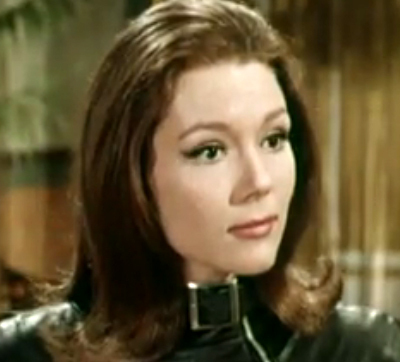 He personally said that the first time he participated in The Avengers since the era of Steed / Cathy Gale (although I do not know what exactly he was doing at the time), but as regular member he started since period of b/w Emma Peel episodes. So I wanted to say that it's hardly Rocky in The Cybernauts, rather it was someone who participated in the series regularly for that period. I think Rocky role in The Grandeur that was Rome was some sort of random work at that time, as it seems he did not appear again until Castle De'ath when apparently signed with him. Posted: Sat Oct 06, 2018 9:08 am Post subject: Re: Rocky Taylor? I just watched The Superlative Seven for many times and I'm sure that Rocky Taylor is not in the episode at all. Yes, according to Mike Richardson's book, it is clear that he was attached to it, but as result he did not participate in it at any point. I'm meeting Rocky Taylor next weekend, let me know if you have any questions and I will do what I can to get them answered? Great, many thanks for it, Big Bear! I have some important questions that would be interesting to hear the answers for many Avengers fans, I sure. 1. Passing through various resources I came across information that the real name of Rocky was exactly Laurie (not Lawrence, Laurence, Larry or something like that). Is this true? Also if it is not a secret, what is the full real name of Rocky. 2. In the study of Rocky's career, come to the idea that he began his participation in TV and movies under the name of Larry Taylor. Is this really so? If so, he was forced to come up with a stage name so that there was no confusion with his father, who was known as Larry Taylor? 3. Why did he use the pseudonym Rocky? How did he come to it? Were there other options for stage names? If so, did Rocky use any of these in his early career? 4. Were there any situations where Rocky doubled other actors in The Avengers besides Patrick Macnee? Did he perform any other functions ever in The Avengers than the stuntman, for example: stand-in, assistant of director, cameraman, etc... It is very interesting if he remembers at least one of these, if there was a case. 5. Did Rocky get to the set on his own car? If so, what was that car? (maybe this is used somewhere in The Avengers/TNA ). 6. What are Rocky's favorite Avengers episodes. 7. Does he remember any scenes that were not used or cut from Avengers episodes. 8. It is known that Rocky was severely damaged during the rehearsal of fight in episode The Superlative Seven. That is, they used real cold weapons in this episode? Why did this happen? How did Rocky himself feel about this methods? How long was he at that danger rehearsal? Was this scene his most dangerous stunt on The Avengers? 9. 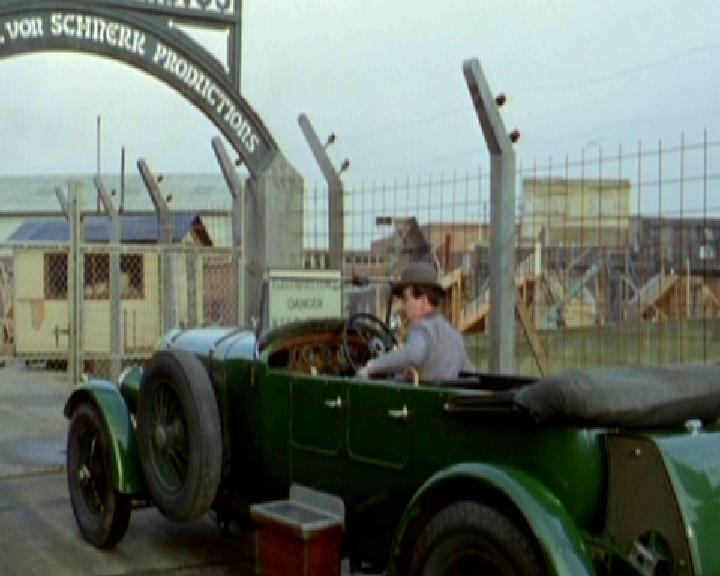 Does he remember his first or one of the early stunt for Patrick Macnee on the show? 10. It is known that Rocky replaced Mike Stevens as a regular stunt double for Patrick Macnee. Does he remember any points of communication with Mike in that period? Cool! Wish him well and let him know the Avengers still has many fans. If you are looking for questions, I'd be curious how people viewed the Avengers when it was being made. Most television programmes from then are forgotten, but the Avengers remains popular, so: was the Avengers seen as special or better than other tv shows? I wish you all the best. Maybe Rocky will show his some favorite tricks for the photos, too. 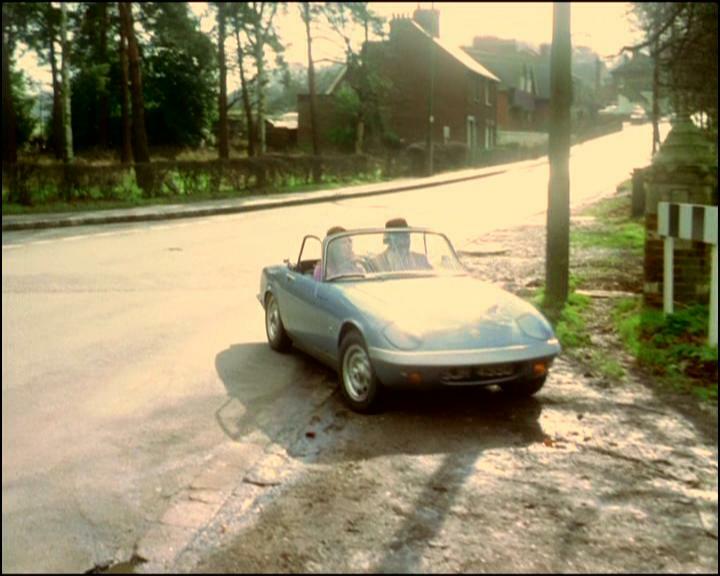 I read on Facebook that stuntman Paul Weston is working on an autobiographical book. I wonder maybe Rock Taylor has such plans too? Thank you. Yes he does have plans my friend is co writing Rocky’s Biography at the moment. He has been in so much it should be a great read. Excellent! Another dream begins to come true. 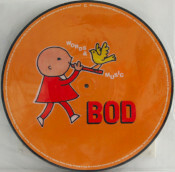 Is this a sort of individual book or section? Personally wants to believe that it will be some "thick book", where besides the life of Rocky Taylor, will be an opportunity to look at his father Larry Taylor, about which, too, not much is known now. In any way, I look forward to the release of Biography and various news related to the work on it. Many thanks to you, Big Bear, your friend, who is co-author, and of course, Rocky Raylor. 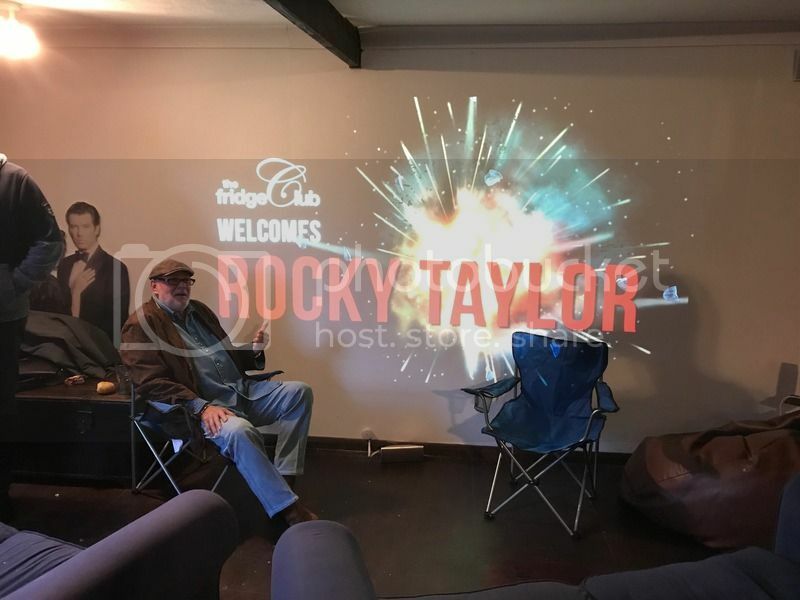 Pleased to report back and say I spent Sunday afternoon with Rocky Taylor, he was our special guest at The Fridge Club for a James Bond double bill of The Man With The Golden Gun and GoldenEye with Rocky doing an hour's Q&A after the first film. He was a true gent, funny and warm hearted. I got to spend some time with him before the film and asked him most of the questions posted on here. He was happy to answer what he could remember. He is 71 now and still has a good brain on him. His real name is Laurie Taylor, his dad was an actor called Larry Taylor. Worked on Zulu and many tv and film jobs in the sixties and seventies. Larry and Laurie used to get mistaken for each other and when they played for the celebrity 11 football team Laurie was given the name Rocky by Jess Conrad..a singer and film star of the day. In fact he was given Rocky Sham as his full title. The idea being nobody knew who or what a stuntman was back then, but they might know what an Australian pop singer did...so that’s what he became. He dropped the Sham bit quite quickly after that though. Yes he double for other actors on the set for five years and loved his time on The Avengers, he saw it as an apprentice as he would do a stunt at Elstree on The Avengers in the morning then in the afternoon he could be on The Saint or The Champions. He cant remember specific episode names but still watches them on TV and thinks they stand up ok but would do it differently if he could do them again. 5. Did Rocky get to the set on his own car? If so, what was that car? (maybe this is used somewhere in The Avengers/TNA Razz ). 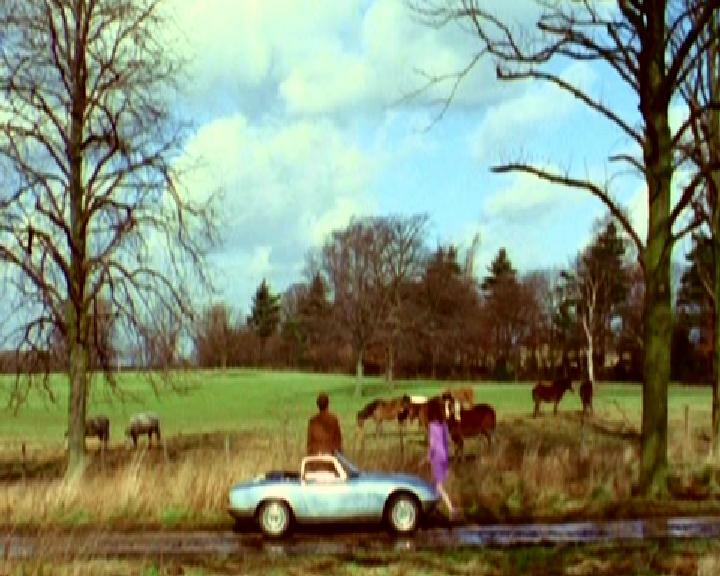 He used to drive himself to the set each day but couldn't remember what car it was. 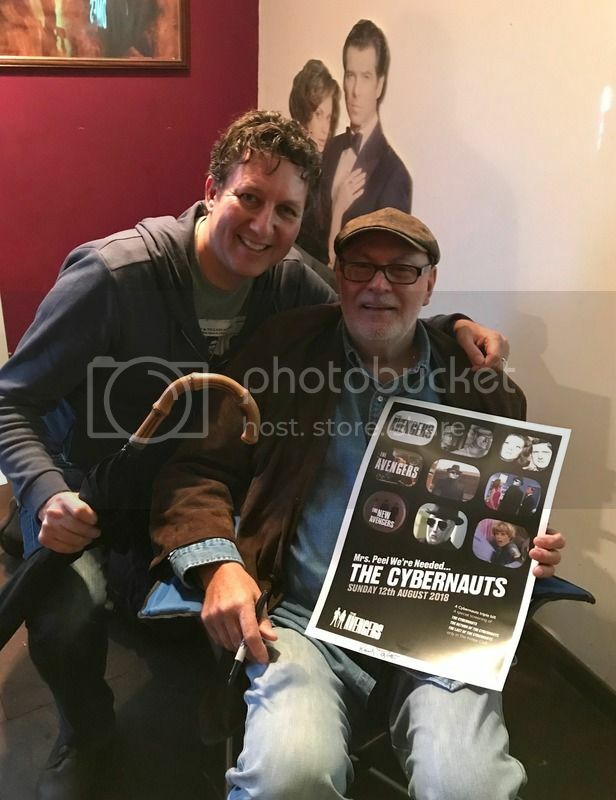 He said he liked the colour Diana Ring but started on the monochrome Episodes, ( I think he may have done some season 3 but he couldn't remember more then monochrome episodes) However I asked him to sign my Cybernauts poster and his eyes lit up and he said that's me I remember that very well, he didn't really consider it to be a stunt just moving around a bit slowly in a stiff costume! He rolled up his shirt sleeve and there was still a fairly large scar on his arm and he said that happened on The Avengers, they didn't have the rehearsal time they had on larger productions or films. He remembers doing some sword fighting or hanging from something but couldn't remember the exact episode or stunt. Said Patrick and Diana were lovely and very professional. He only met Mike Stevens once, the producers wanted Mike to do all sorts of stunts and he was only prepared to do a few different things so once they got Rocky's number he was very much in demand and would do most stunts on the shows. He thinks Mike gave up being a stuntman after that and when and found a new career. 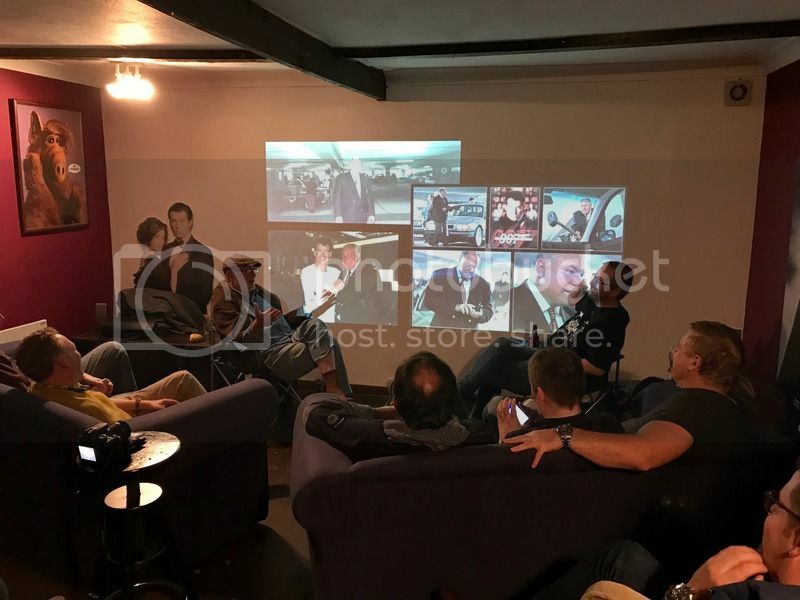 The Q&A was moderated by my friend Jon Auty who works on the Behind The Stunts website and the Stuntpod website. He has been working with Rocky on his biography which hopefully will be out next year. Thankfully, over the years, stunt-people have gotten the recognition they so rightfully deserve. So great to see a veteran of the profession being treated so well/respectfully. Thanks for the report on meeting Rocky, very interesting. Born in Feb 1945 would make him 73, but he still seems in good form.